OMG! 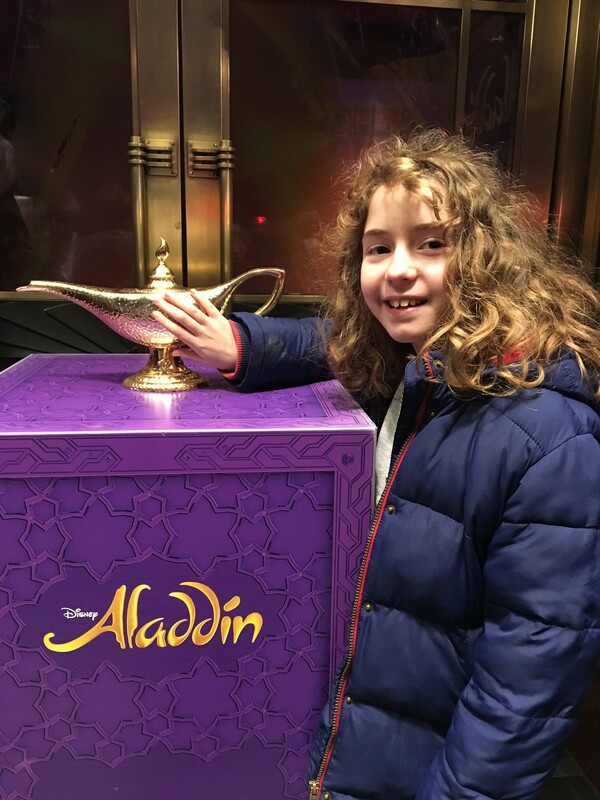 My Mummy took me to see Aladdin in London’s West End last night. We got special seats which were the best in the house. They were called Loges. It was even better than being in a box because they are side-on. 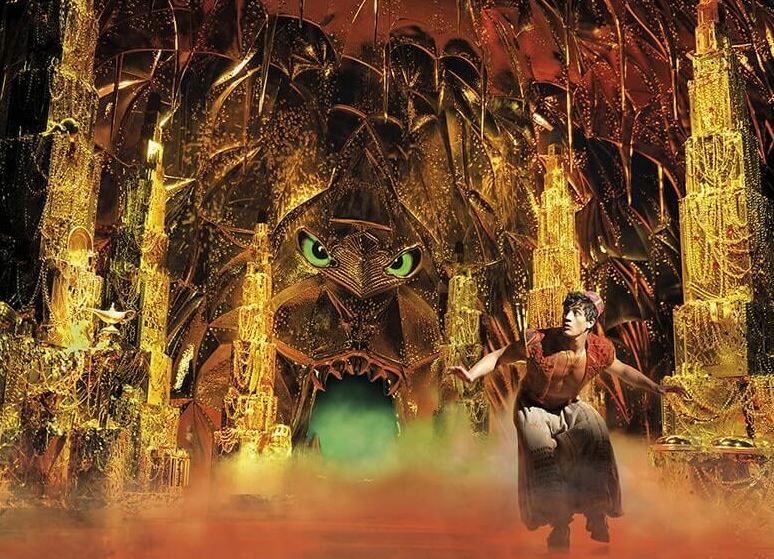 We could see directly at the stage and could even see on top of the genie’s head which was sparkly gold. The performance was amazing! 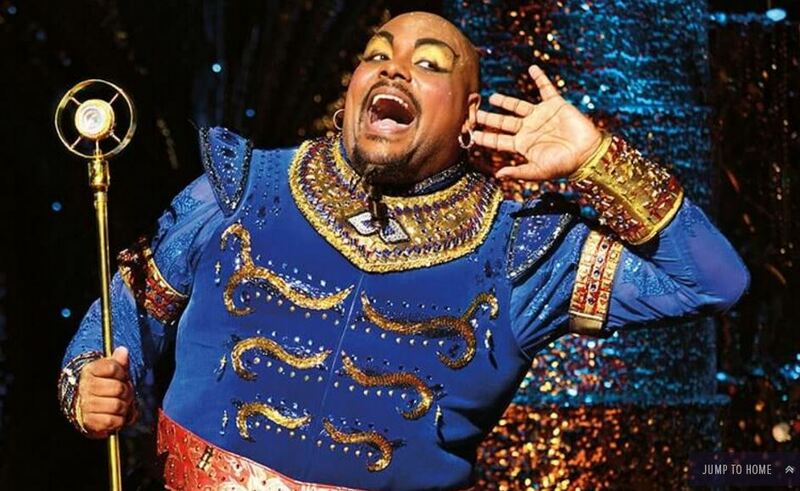 My favourite character was Aladdin because he was the best actor and I could always hear what he was saying. The costumes were awesome! Every costume has sparkles on it. The website said there were 350 different costumes in the show. and some of them were changed really, really quickly. 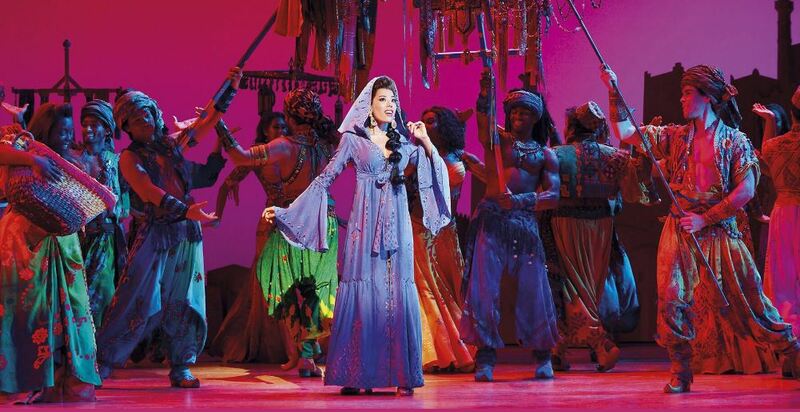 My favourite costume was Genie’s main costume as Royal Blue is my favourite shade of blue. The set designer had gone mad with a fretwork jigsaw and all the backdrops were really beautiful and like lace. It was very clever. It was a shame that the website did not tell details of the conductor and the orchestra. From where we were sitting, we could see the conductor and some of the orchestra underneath the stage. I would have liked to know more about them. Maybe it told you in the programme, but we didn’t have time to get one as we were queuing for the girls’ toilets in the interval. Lol. My favourite scene was the dance in the market square where Jasmine and Aladdin first saw each other. When there was a scene change the pieces of scenery seemed to move by themselves into the correct positions. Also, from where we were sitting up high, we could see the secret trapdoors in the floor of the stage. It was fun to see the Genie coming up through a puff of smoke, even though we could see where he was really coming from! 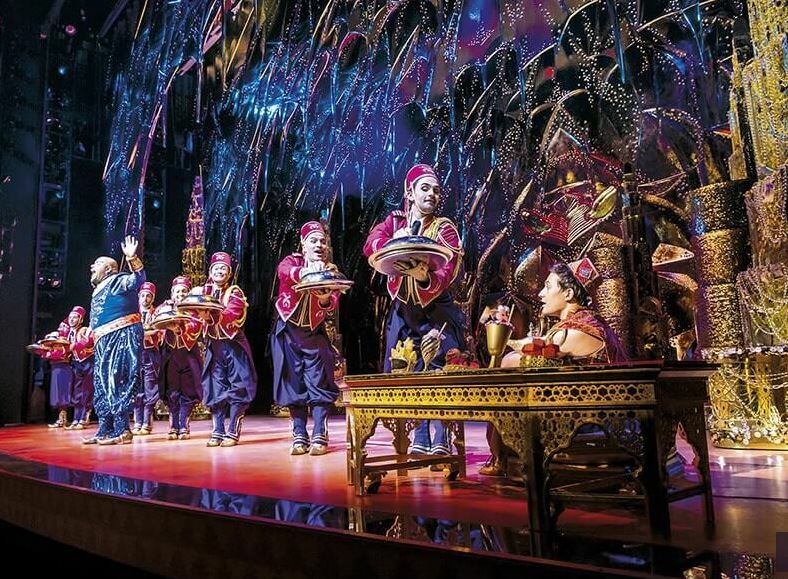 The best scene (and cleverest) was when Aladdin and Jasmine flew on the magic carpet. Somehow they managed to get it to really fly around the stage with a big moon and stars behind. 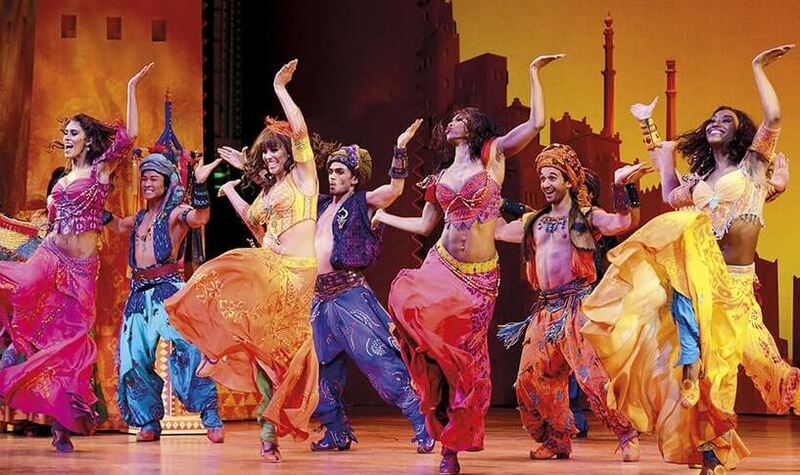 At the grand finale we checked to see how loud the applause was: Genie got the loudest applause (He has played the role in Broadway in New York), and Aladdin got the second. Out of 5 stars I would give this 5!! It was better than all the power than all the magic in all the world! I need to go and see this musical again, it is so great! 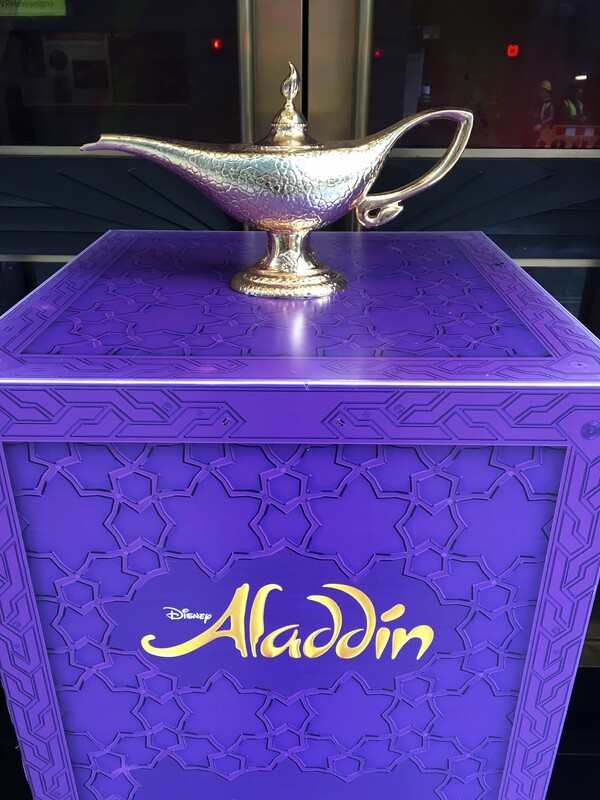 This entry was posted in Day Out, Exciting Event, Play Review and tagged Aladdin, Aladdin the Musical, Disney, Disney's Aladdin, West End Musicals. Bookmark the permalink. Great Blog again Summer, made us want to go and see it.